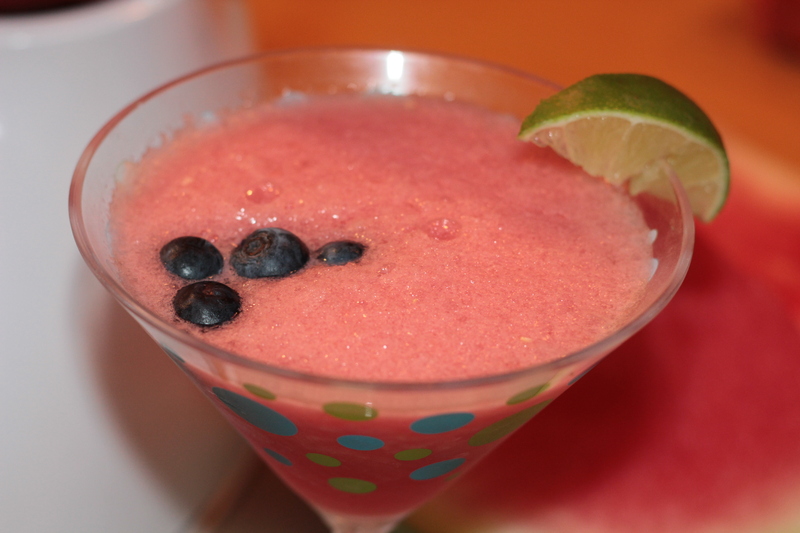 Thinking Pink, Watermelon Daiquiris and trying to get my girly girl back. I am not a girly girl, I don’t really enjoy shopping, I would rather be hiking. I am not one for girls night out with fruity drinks, I would rather go to the pub or brewery and have an IPA. There are exceptions though, I love shoes, all kinds, heels make me feel pretty. I love a cute skirt and a glass of champagne, I like coconut lip gloss and straw hats on the beach. I feel like there is an even balance, or better put there was. Since I had my knee surgery in December, there have been no cute shoes, only sneakers and flats, I can barely wear flip-flops 5 months later. No pedicures, I couldn’t even get in the chair. My only accessory has been an ugly black knee brace, so who wants to show that off in a skirt? I walk like Frankenstein, its hard to feel feminine when all my grace has gone. My girly side is lost. So we had some leftover watermelon in the fridge. Normally, I would make a salad or a salsa, but not today, today I am thinking pink. A pink drink to entice the girl in me to come out and play, even better a pink daiquiri in a fun glass. Maybe this will help, I mean heels can’t be that far down the road, and does anyone make a pink knee brace, if not they should. 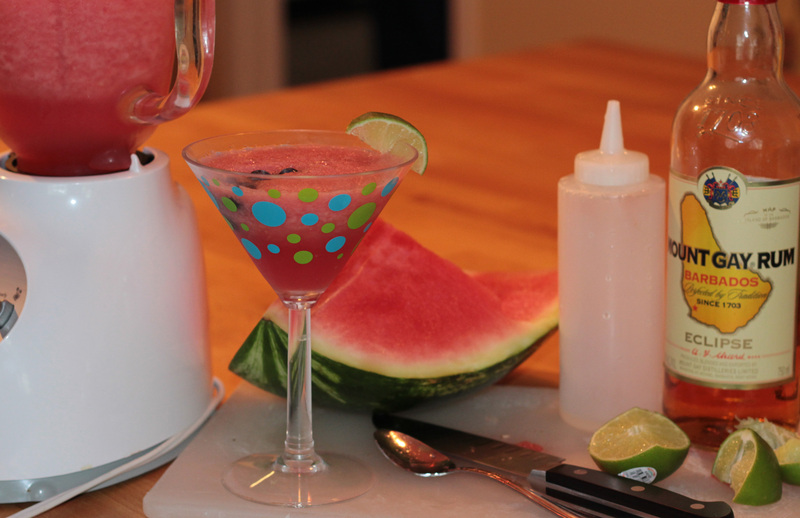 Add rum, simple syrup, lime juice, water melon and ice to a blender. Puree until smooth. 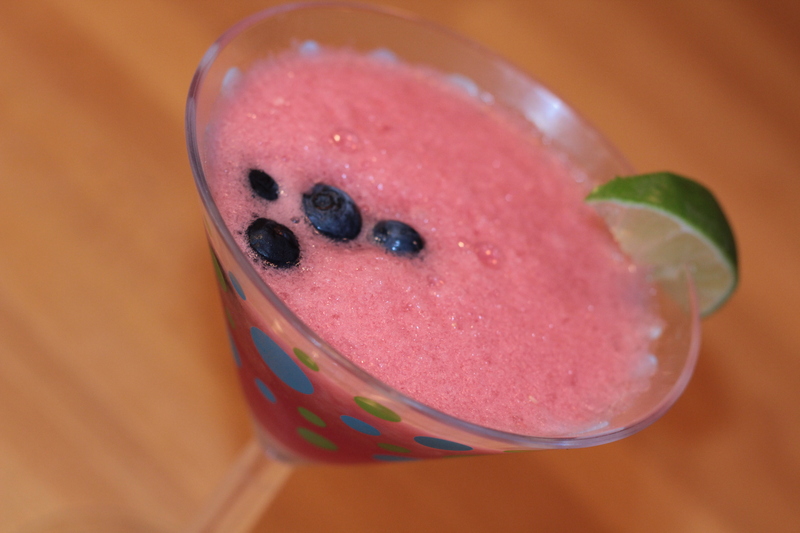 Serve in girly glasses top with a lime wedge and fresh blueberries. looks yummy! I’m the same way–I dress like a girly girl, but I’d rather be hiking, lifting weights, or drinking beer! haha.